With cloud computing, applications need to move around efficiently and run almost anywhere. 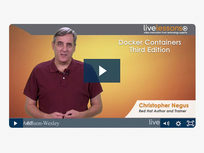 In this course, you'll learn how to create containerized applications with Docker that are lightweight and portable. 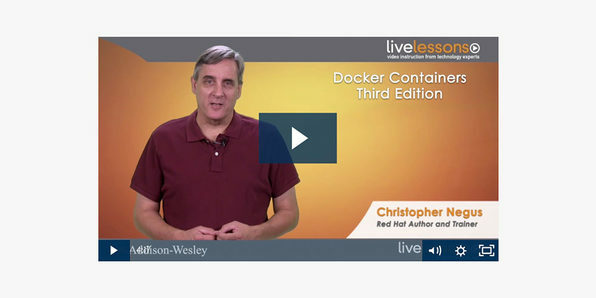 You'll get a comprehensive understanding of the subject and learn how to develop your own Docker containers. Chris Negus has authored or co-authored dozens of books on Linux and UNIX, including the Red Hat Linux Bible (all editions), Linux Troubleshooting Bible, Linux Bible (now in its 9th edition), Linux Toolbox series, Linux Toys, Linux Toys II, and mostly recently, Docker Containers. Currently, Chris works for Red Hat, Inc., where he is a Red Hat Certified Architect (RHCA), Red Hat Certified Instructor and Examiner, and Principal Technical Writer. Early in his career, Chris worked for eight years with the organization at AT&T that developed the UNIX operating system. 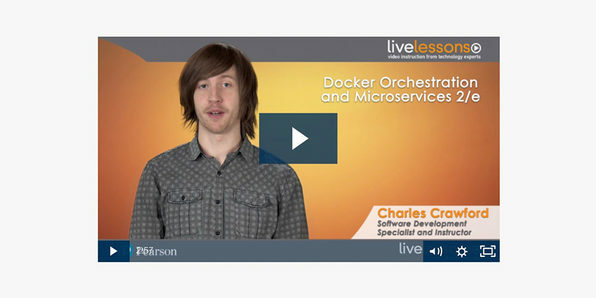 In this training, you'll be introduced to some of the motivations behind microservices and how to properly containerize web applications using Docker. You'll also get a quick overview of how Docker registries can help to store artifacts from your built images. 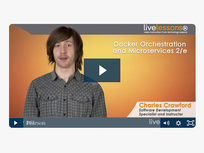 Ultimately, by course's end, you'll have a strong understanding of modern containerized applications and microservices and how systems like Docker and Kubernetes can benefit them. Charles David Crawford has more than ten years of software experience and five years of experience in software education. He is currently a lead instructor at Code Fellows, where he teaches full-stack web programming. He is also an active software and writing consultant and the director of marketing for Hack The People, a distributed nonprofit organization focused on fostering mentor-mentee relationships in software development. Additionally, Charlie is an active blog contributor at The New Stack, a site featuring news about and analysis of an ever-changing software development ecosystem. Prior to this, Charlie was a developer evangelist for Shippable, a SaaS that leverages Docker to provide continuous integration services. He was also a software engineer at Amazon Web Services on the Elastic Beanstalk team, where he worked on things such as the Elastic Beanstalk Ruby container, Nodejs container, and the Docker container. This course first covers the basics and rapid deployment capabilities of AWS to build a knowledge foundation for individuals who are brand new to cloud computing and AWS. 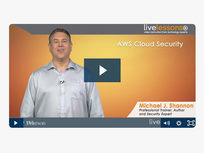 You will explore the methods that AWS uses to secure its cloud services. You will learn how you, as an AWS customer, can have the most secure cloud solution possible for a wide variety of implementation scenarios. 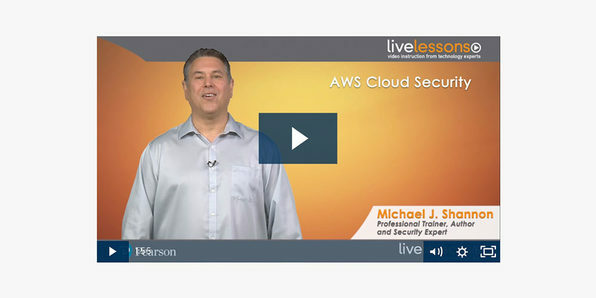 This course delves into the flexibility and agility needed to implement the most applicable security controls for your business functions in the AWS environment by deploying varying degrees of restrictive access to environments based on data sensitivity. Michael J. Shannon began his IT career when he transitioned from recording studio engineer to network technician for a major telecommunications company in the early 1990s. He soon began to focus on security, and was one of the first 10 people to attain the HIPAA Certified Security Specialist. Throughout his 30 years in IT he has worked as an employee, contractor, and consultant for several companies including Platinum Technologies, Fujitsu, IBM, State Farm, and MindSharp, among others. Mr. Shannon has authored several books, training manuals, published articles, and CBT modules over the years as well. He has attained the CCNP Security, CISSP, ITIL Intermediate SO and RCV, and Security+ certifications in the security field. He is a technical instructor for Skillsoft Corp. specializing in all things security. This introduction to the leading cloud provider, Amazon Web Services (AWS), provides a solid foundational understanding of the AWS infrastructure-as-a-service products. You'll cover concepts necessary to understand cloud computing platforms, working with virtual machines, storage in the cloud, security, high availability, and more. 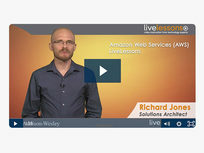 This course is a good secondary resource to help you study for the AWS Solutions Architect exam. 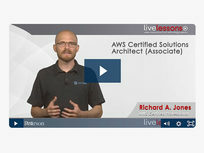 Richard A. Jones is a certified AWS Solution Architect having taught the IT teams of numerous Fortune 500s, and postgraduate students at the University of Colorado. Programming since age 10, Richard has spent more than 25 years furthering his knowledge and skills of information technologies. He studied network switching systems in the U.S. Army, attained a degree in Digital Media, and has a long history of web and mobile application development. 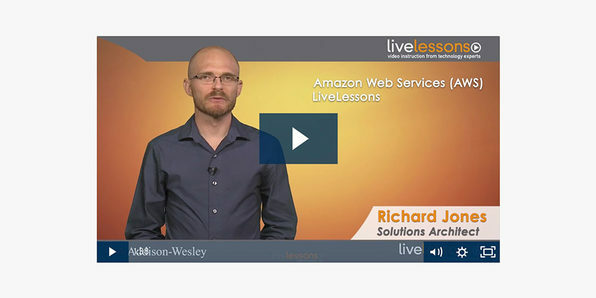 Beginning with a funded startup in 2009, Richard has dedicated more than six years to building robust, highly-available, fault-tolerant systems in Amazon Web Services, and has taught hundreds of IT professionals how to do the same. 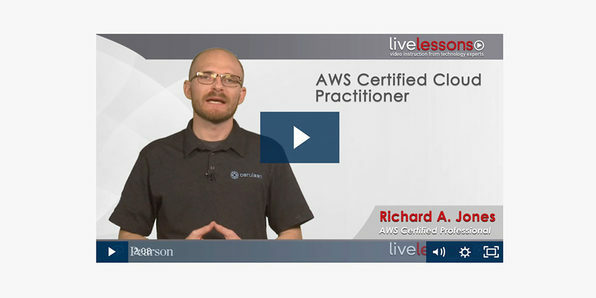 Richard holds the AWS Solution Architect Professional level, AWS Developer and SysOps Administrator associate-level certifications. This course was specifically developed to help you pass the latest edition of the AWS Certified Solutions Architect Associate exam. This certification is ideal for anyone in a solutions architect or similar technical role. You'll cover all the key areas addressed in the exam and review a number of use cases designed to help you gain an intellectual framework with which to formulate the correct answers. This course is designed to help you understand Amazon Web Services at a high level, introduce you to cloud computing concepts and key AWS services, and prepare you for the AWS Certified Cloud Practitioner exam.